The most successful coaches that we know, do more than just coach. By combining business coaching with other services, you can offer your clients the biggest return on their investment. 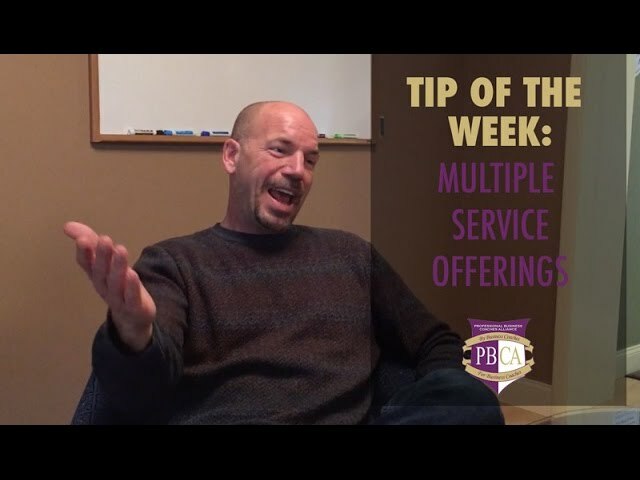 Our advice is to think about how you can expand your service offerings and roll that into your business coaching practice. For example, if you help a client create a business plan as a consultant, why not offer to act as their coach and help them in the execution of their new business plan. By rounding out the services that you offer you can do more for your client and you can also maintain an ongoing coaching relationship. Conversely, if you are a CPA, a marketing consultant, focused on succession planning or any other specialty, you should think about adding business coaching to your list of services. Check out our Become a Business Coach page to learn all about our certification program and how you can join the PBCA. We hope you enjoy this week’s Business Coaching Tip below. If you would like to see more videos like this, check out our YouTube channel. Don’t forget to subscribe!